Costa Rica’s capital is the central city of San Juan. The city also acts as the main international gateway into the country, as it holds the massive Juan Santamaria Airport. 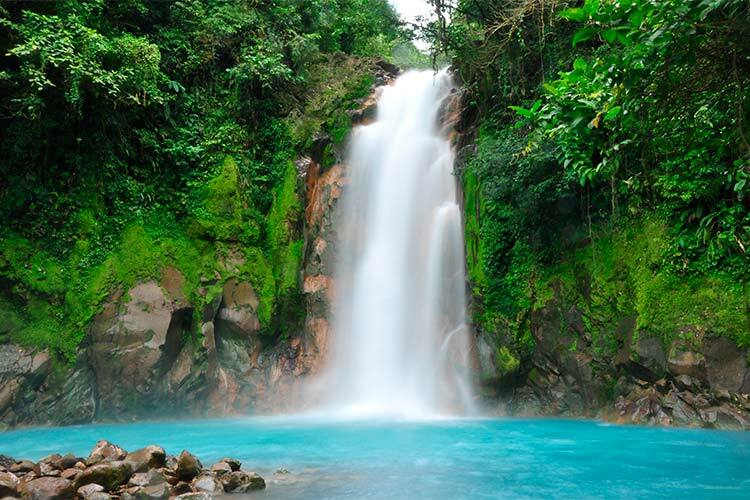 Most travelers are able to enjoy Costa Rica on budgets of $35 to $40 per day. Peak tourism season in Costa Rica typically occurs between November and April. The increase in tourist activity is due mostly to the holidays rather than changes in weather, as Costa Rica stays around 24˚C (75˚F) throughout the year. Coffee, handmade crafts and jewelry are commonly available Costa Rican souvenirs. Sandwiched between Panama and Nicaragua, Costa Rica perfectly exemplifies the Central American lifestyle. The country is very popular among travelers for its beaches and high quality of life. Compared to many other Central American countries, Costa Rica enjoys a much more stable, developed atmosphere. This is in no small part due to its massive tourism industry, which is the largest of any Central American country. The majority of these travelers are Americans and Nicaraguans, who mostly come to the country for it’s opulent beach resorts. However, there’s still plenty of untouched natural wonders and authentic villages for more adventurous travelers. Though Costa Rica was once inhabited by indigenous people, they lived in a fairly sparse populations. While these peoples were important in the transition from a hunter-gatherer lifestyle to an agriculture based life, their recorded accomplishments pale in comparison to many of the other indigenous peoples of the Americas. Like the rest of Central and South America, Costa Rican history was substantially altered with the arrival of Spanish. Christopher Columbus made contact with the natives during his last trip in the Americas in 1502, and his reports of their vast reserves of gold and jewels inspired countless Spanish conquistadors to come to the area, including Gil González Dávila. Ultimately, Costa Rica was claimed for the Spanish as the southernmost state of Guatemala. However, Costa Rica is quite some distance from Guatemala, and the Spanish had implemented laws prohibiting Costa Ricans from trading with the Portuguese and other foreign traders. Furthermore, the lack of natives meant that the Spanish had no people to force into labor. For this reason, colonial era Costa Rica was undeveloped, poor and sparsely populated. However, it also lent the region a spirit of self-sufficiency unmatched in Central America. When the Spanish lost the Mexican War of Independence in 1821, Costa Rica and the rest of Central America was declared independent. At first, Costa Rica was a part of the Mexican Empire, and then the Federal Republic of Central America. However, Costa Rica basically operated autonomously, and by 1838 the country had officially declared its sovereignty. During the 20th century, the Costa Rican economy grew rapidly due to coffee and banana exports. In 1917, the country was briefly placed under military rule, but two years later this interim government was overthrown. This, in combination with a subsequent coup and a short lived civil war, utterly destroyed all faith Costa Ricans had in their military. In fact, in 1948 the military was completely abolished. Since then, Costa Rica has enjoyed a stable democratic government and sustained economic growth, allowing it to outpace many of its Central American peers. 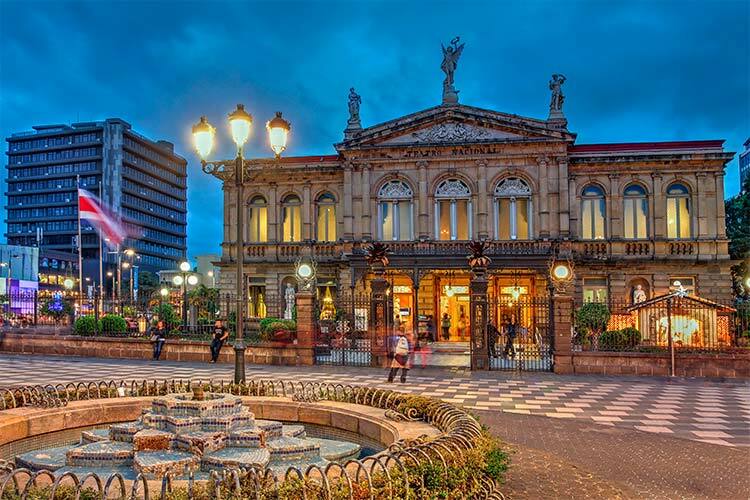 San José is not only the Costa Rican capital, but also the country’s major urban tourist destination. The first stop for many travelers in San José is La Plaza de la Cultura. Although this central gathering place lacks any beautiful buildings or landmarks, it’s still an important meeting place for locals and a great area to acquaint yourself with life in San José. Underneath the plaza is a fascinating gold museum called El Museo de Oro Precolombino. Like many Central American cities, San José features an exquisite street life. For instance, each Thursday dozens of jugglers, actors and musicians gather in Parque Morazan for a free public performance. One of the most charming and surprising tourist destinations in Costa Rica is Monteverde. Despite its small size, its a massively popular place to travel, due largely to its proximity to ecotourist sites. By far the most popular of these attractions is the Monteverde Cloud Forest, which is visited by some 70,000 people per year. Despite the crowds, the massive size of this forest means that it is largely untouched, providing vital habitats for a number of creatures which could not exist elsewhere. The cloud forest houses the world’s largest collection of orchids. 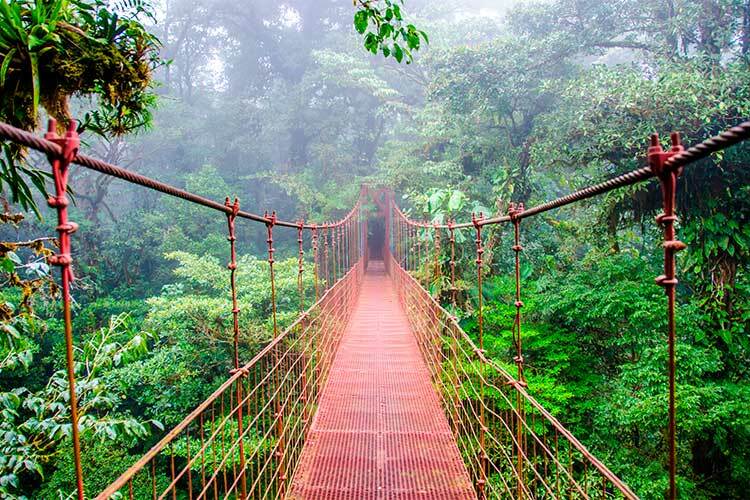 Additionally, the Monteverde Cloud Forest is also famous for its system of suspension bridges, which pass through the forest’s canopy layer. 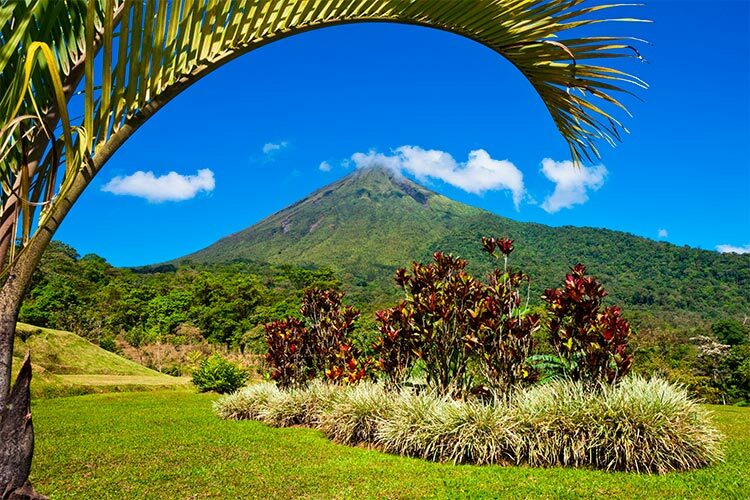 Another popular ecotourism site in Costa Rica is the Arenal Volcano and accompanying national park. This active volcano is less than an hour north of San José, but stayed dormant until 1968. Since then, it has erupted several times, warping the landscape and creating volcanic vents. It has also qualified as one of the ten most active volcanos in the world. Today, the volcano is the central point of a fascinating ecosystem that provides unparalleled examples of the pioneering capabilities of plants. 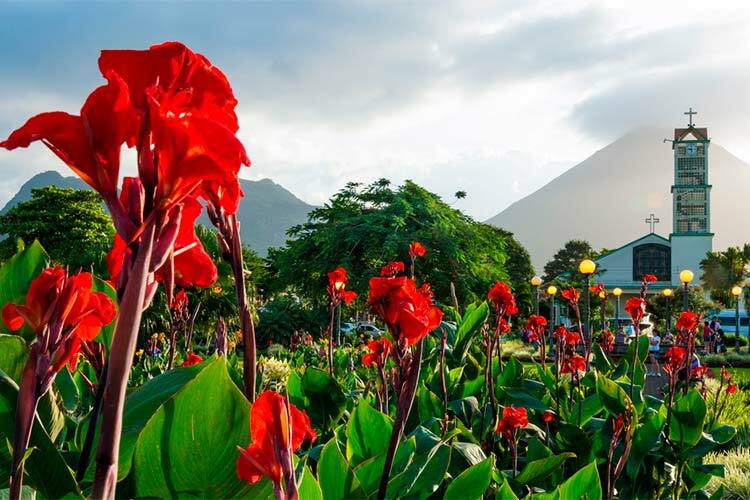 The volcano sits next to the Arenal Lake Reservoir, which is an important contributor of hydroelectric power. 1) La Amistad International Park is a remarkably beautiful nature reserve, which Costa Rica and Panama have come together to protect. The park is recognized as a bottleneck area of the Mesoamerican Biological Corridor, which is an important migratory route for animals between North and South America. Travelers can expect to see unique flora and fauna not found anywhere else in the world. 2) Though many travelers use Puerto Limon solely as a point of access to the Limon province, the city itself is worth a visit. In the centre of the city is Parque Vargas, a gorgeous park with some water features. Puerto Limon is also notable for being just 20 minutes from Isla Uvita, the point where Columbus first landed some five hundred years ago. 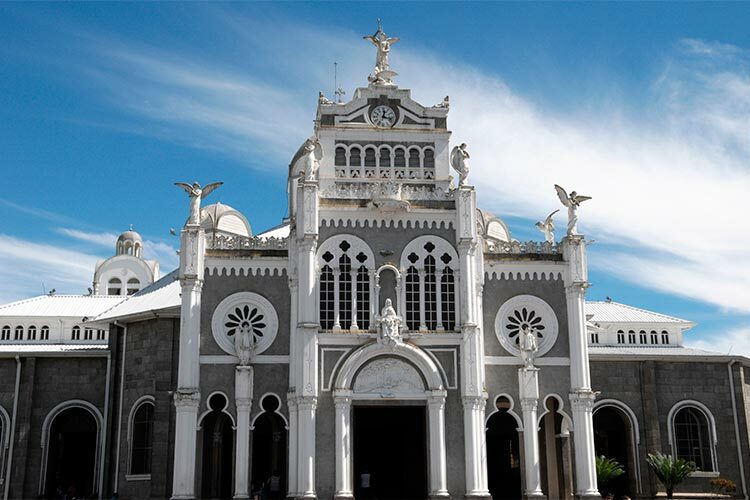 3) When in Cartago, don’t miss the marvellous Basílica de Nuestra Señora de los Á. Then, head out to the famous Irazú Volcano, which erupted during a visit from John F. Kennedy in 1963. Cartago is also known for the ruins of the Santiago Apóstol Parish found downtown. 4) The vibrant city of San José has lots to offer travelers. Be sure to explore the area around La Plaza de la Cultura, especially the underground Gold Museum and the Jade Museum. Do some shopping on the streets or watch some street performers. Furthermore, explore Mercado Central, a very old and charming food market. 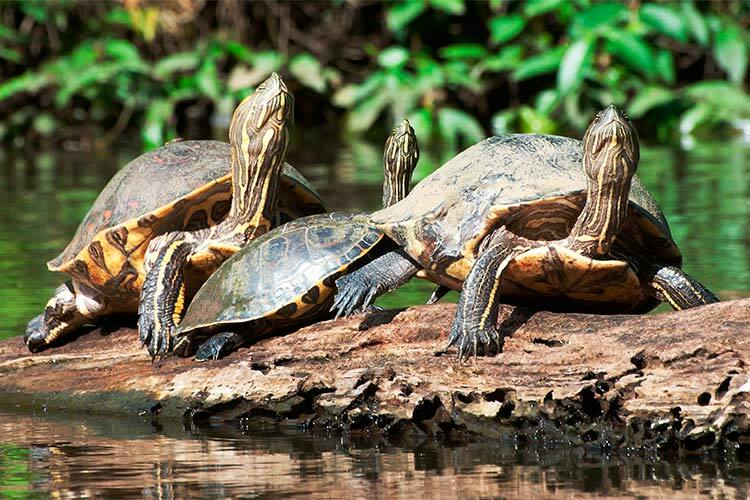 5) Tortuguero National Park is a very remote park in Costa Rica, which in fact can only be accessed by boat or plane. If you manage to make it there, however, you’ll be amply rewarded with acres of untouched natural beauty. The park is best known for its extreme biodiversity found in eleven distinct habitats. 6) Hike the banks of the Arenal Volcano, marvelling at the site of one of the world’s most active volcanos. The volcano is surrounded by lush green forests, which also make for a pleasant walk. Then, head down to the banks of Lake Arenal to relax on the shore or do some fishing. 7) Monteverde Cloud Forest is the type of destination many consider the trip of a lifetime. Whether you’ve exploring the cryptic cloud forest by foot, traversing through the treetops on the suspension bridges, or simply marvelling at the glory of nature, you’re sure to have an unforgettable experience.